"The clearest, simplest, most well-founded psychomotor training program I have seen for developing shooting skills..."
Do you want to improve your training? 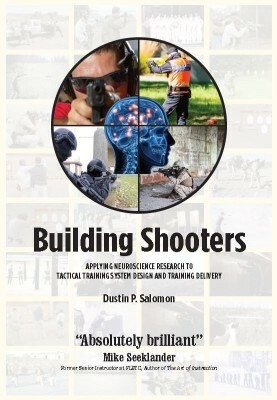 Building Shooters is dedicated to applying cutting-edge scientific research and operationally proven experience to help professional instructors deliver the best in firearms and tactical training. Please contact us for questions, comments, training, speaking or consulting requests.